The Autistic Talent Gala is a leading international musical event special for autistics held annually since 2013. We believe that everyone has their own talents and dreams, the Autistics are no exception. This event is held to encourage them to unleash their talent through the Gala. This is also a recognition for their parents and support team. At the meantime, we would like to raise public attention about autism by this activity. In the past few years, hundreds of the autistics from over 20 countries in the Asia Pacific regions have participated the event. They are successfully encouraged to show their talent on stage, leading them to step out their comfort zone and it has good response from the public. 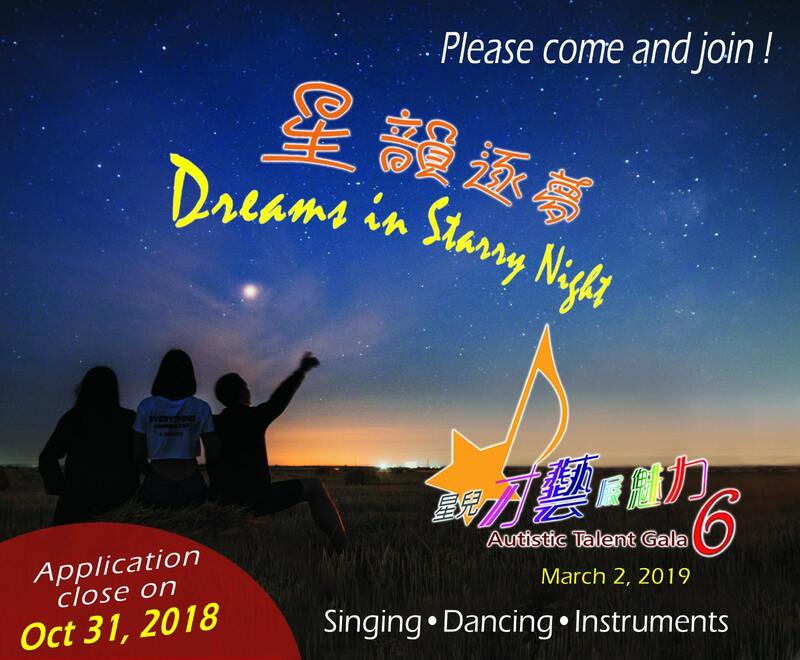 “Autistic Talent Gala 6″, is now open for application until October 31, 2018. The selected participants will be invited into the final competition in Hong Kong on March 2, 2019.